The new patch set offers CRC checks when decoding FLAC files. VLSI Solution's Integrated software Development Environment VSIDE has been updated to v2.46. 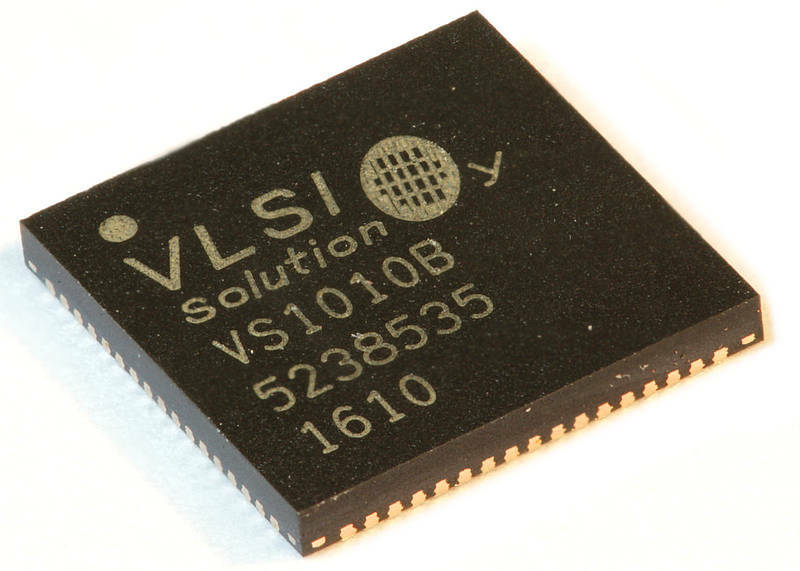 Libraries and .h files have had updates and additions for all VLSI Solution's ICs. It is highly recommended to upgrade to this new improved release, particularly if you are building VS1010 or VS1005 projects. The VS1005 operating system VSOS v3.57 has been released. This new release has several long-awaited tweaks over v3.50, like being able to seek and write to random locations in a file, making it possible to update things like file headers after the fact. The new VSOS release is accompanied by a new package of Root Images and Libraries, and as always, with source code. 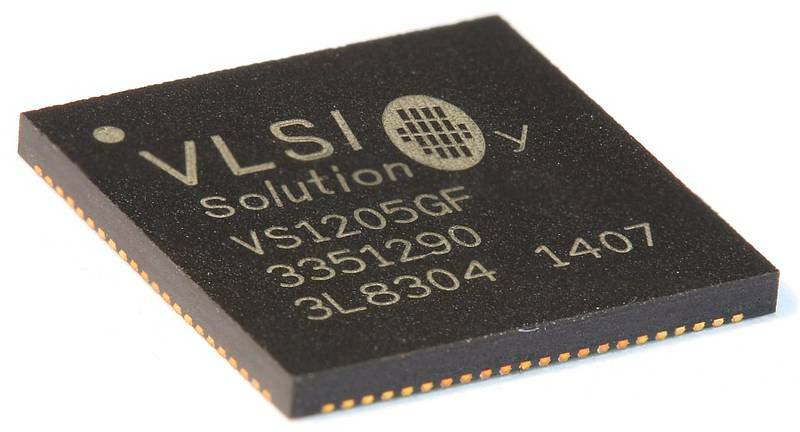 VLSI Solution offers a major software upgrade to the VS1005 Dev. Board Extension 1 v1.0 board: the new version of the HiRes Recorder can record up to 4-channel 96kHz 24-bit PCM to an SD card. The new firmware makes it possible to design a portable device capable of creating true professional quality multichannel recordings. Prototype IC VS1010c has been superseded with VS1010d. VS1010d is hardware and software downwards compatible with VS1010c, so projects developed for VS1010c will run on VS1010d as is. However, VS1010d contains several new features that can be used in new projects, like virtual instruction memory support. From now on, VS1010d will be the officially supported VS1010 series device. Wherever you go, you are surrounded by sound. From the moment your alarm clock wakes you up, sound follows you everywhere on the Internet radio, car stereo, traffic lights, portable stereo, mobile phone, talking ATM, elevator, TV set, baby monitor, Hi-Fi equipment, toys, and many other devices. We at VLSI Solution are part of this development. Our high-quality audio integrated circuit products help you put audio everywhere from toys and audio guides to awarded High-end Hi-Fi equipment. VS1010 is the newest member of our audio decoder family. It is both a low-cost MP3 decoder with extensive I/O features and a microcontroller that can act either as a System-on-a-Chip or as a coprocessor. VS1005 is our flagship audio product. It is probably the world's highest integrated system-on-silicon device for personal music players. See our MP3 player presentation. VS23S040 is a 4 Mbit SPI SRAM and VS23S010 is a 1 Mbit SPI SRAM. Their main applications are memory expansion, for example buffering uncompressed audio when recording to an SD card, buffering internet audio stream or microcontroller RAM extension. Samples are available. VS1063 is an MP3 encoder/decoder IC. It's a pin-compatible replacement for VS1053 with many added features, ranging from a speed shifter and 5-channel equalizer to a whole new full duplex codec mode. See our internet streaming presentation. 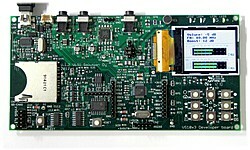 VS1000 is an audio player SoC. It is intended for content sellers such as audio books, tourist guides, announcement systems and intelligent toys. 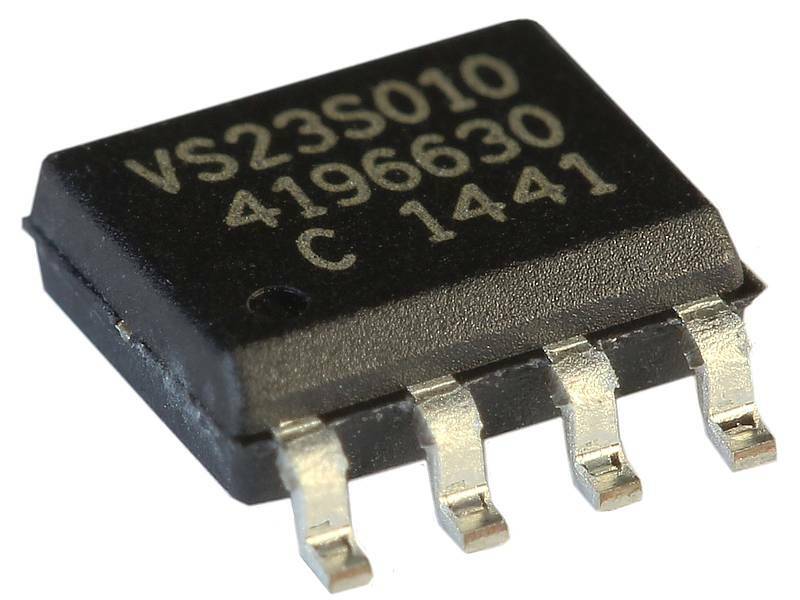 VS1053 is a high performance decoder and encoder chip for audio streaming applications such as internet radio. VS1053 has multi-format decoding capability and customization by using our IDE. This makes it attractive for the commodity MP3 player market as well. VS1003 is a high quality MP3+WMA decoder. It is ideal for small micro SD card based player applications. Additionally audio processing power of the device can be used for DSP applications such as adaptive echo cancellation for Skype speaker phones. VS1103 is for effect processing such as reverb, echo cancellation, PCM recording, MIDI synthesis and simple pitch shifting. Like VS1003 it offers very simple SD card based player applications but with less cost. VS1011 is a very popular MP3 decoder. It is very simple to use as an audio interface of a master processor. The VSMD001 family is a small, high performance, easy to use Ogg Vorbis audio player that is controlled from the IO pins, UART, SPI or USB. It can be used as a "plug-in" audio board in electronic systems or as a standalone small audio player. The audio content can locate either in the embedded SPI nor flash or in a micro SD card. The VSMD301 family has power and audio pins compatible with VSMD001 family. Features are similar as in VSMD001 family. It lacks USB interface of the other family but has mono ADC with microphone amplifier for recording or mixing. VSMD301 family uses PCM or ADPCM format for audio content. Simple audio format provides low audio delay and seamless looping capability. The VS1053b USB Hi-Fi Player is a multi-format "MP3 player" that uses the VS1053 as a stand-alone component along with a low-cost High Speed (480 Mbit/s) USB controller. The device can play .MP3, .OGG, .AAC, .M4A, .WMA, .WAV, .IMA and .MID files with excellent sound quality. It can either use SD/SDHC cards (over 2 GB supported) or internal FLASH memory. The HiFi Recorder Application demonstrates the capabilities of VS1000d and VS1053b chips for high quality stereo recording from line-in or microphone interface. VS1003 SD Card Mini Player application is an extremely simple SD card player. It features mp3 and WMA audio formats, small size, excellent audio quality. It is likely the simplest, smallest and lowest cost SD card player in the world. VS1000 Button Cell Player application is a very low power audio player. It features Ogg Vorbis decoding with very low bit rates and credit card size. The low BOM of less than 3 USD and royalty free audio compression make it attractive for disposable audio applications such as audio guide of a museum or marketing gift. VS1000 Audio Book application demonstrates VS1000 device capabilities in portable bible or audio book application. The system features excellent audio quality, high audio compression. The smart indexing with bookmarking is capable to handle thousands of predefined jumps and endless loops. VS10xx Prototyping Board is a simple standalone player that uses VS1011/VS1003/VS1033/VS1053/VS1063/VS1103 devices and MMC/SD card. It has wire wrap area for adding user specific features. 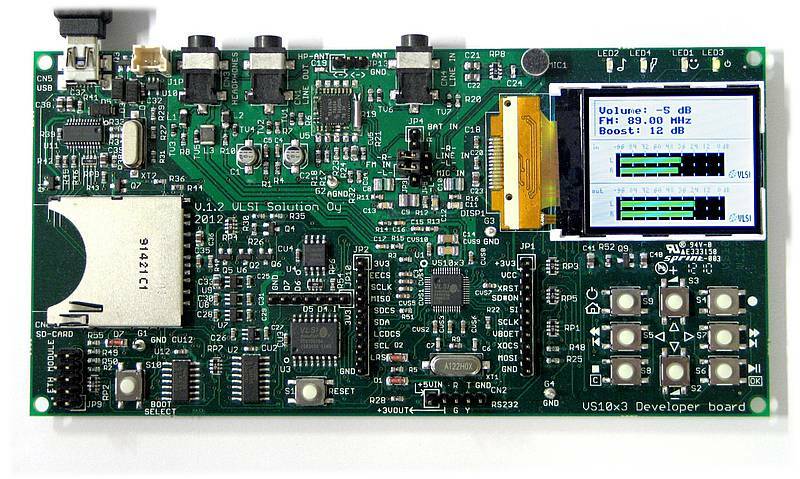 VS1000 Developer Board is an application development board for VS1000. It features all necessary hardware for writing and testing new software for VS1000. Do you need a customized circuit? VS1005 Breakout Board schematics v2.1 adds a pin for microSD card regulator control. For any applications using a microSD or SD card, it is highly recommended to use the new schematics as a basis of design. VS1010 Developer Board schematics has been updated to v1.5.1. The main change is a fix to the components values of the Line Out audio filter. VLSI Solution recomments to use the new, annotated schematics as a basis for new VS1010 designs. The VS1010d datasheet has been updated. The main change is that in this version the LFGA package has been renamed to VQFN for consistency. VS1010 Developer Board schematics has been updated. There are two versions: v1.4.3 which is for the current Developer Boards, and v1.5.0, which is recommended as a base for new VS1010 designs. VS23S010 datasheets have been updated to v0.96, and the V23S040 datasheet to v0.4.